Scholarships are aids to students in their academic pursuit. Most are given after students are subjected to some form of test to trim applicants and guarantee the best are chosen effectively. Many do posit that to get a scholarship is perhaps harder than what is presumed by few to be. Infact various online means make it seems so easy and smooth to get one. Only few writeups gives an experienced dissenting view to scholarship issuance. One of that is this few condinated piece on how to get a scholarship as an undergraduate this 2019! We all know that it's always oil and gas companies and some multi-national corporations that award varying scholarships to Nigerian students. For the oil firms and certain lucrative companies, it's part of their corporate social responsibility signed to serve the people of that particular region. 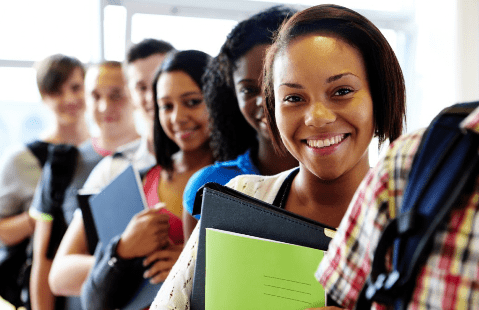 Most of them usually dole out about N100,000 and above to intending graduates of specified courses of study, so as to aid their academics pursuits. 1. Stick to time: There's always a duration for scholarships brought forward to the public. Upon the release of those scholarship, apply on time as most of them do have a specific number of applicants needed. Although the portal might still be open, you might likely not be shortlisted. To keep up with time, collate your document necessary for scholarship application aside readying yourself for an oppurtunity. 2. Have a good CGPA: Having a dented cummulative grade point average might marr your chances of securing or even maintaining an already won scholarship! For instance, a scholarship application is on and the least acceptable grade is 2.5, all students with grades less than that would miss out of it. The better the grade,the better the chances of securing a scholarship aswell. On the other hand, one who is currently on a scholarship program but has a diminishing CGPA could be relieved of such scholarship as the widely acceptable CGPA for scholarship is 3.5 . 3. Read past questions and understand their question patterns: Generally, while preparing for a particular exam, you should know the pattern of it. Most scholarship exams are multiple choice requiring intuitive knowledge. The time alloted to each quesations is meagre and that needs a good level of examination management. Another thing to do is to familiarize yourself with past questions. Questions might likely be repeated or such type brought back. Getting to read those past questions might also reduce the tension which might surge in you. 4. Vie for less competitive scholarships: To better you chances of getting a scholarship, go for ones hardly known by many. Rules there might be lessened, augmenting the possibility of getting such scholarship. The lessly known scholarships might be less lucrative and might be less rewarding. 5. Apply for many scholarships appropriately: Applying for one scholarship would just limit you to a possible one but applying for many gives more hope of winning probably some. While applying for multiple scholarships, note that it's not from the same parent company to aviod disqualification from both. Follow the rules as well while applying. Goodluck! How much will it cost to get a marriage certificate in Nigeria? What are the registration procedures?